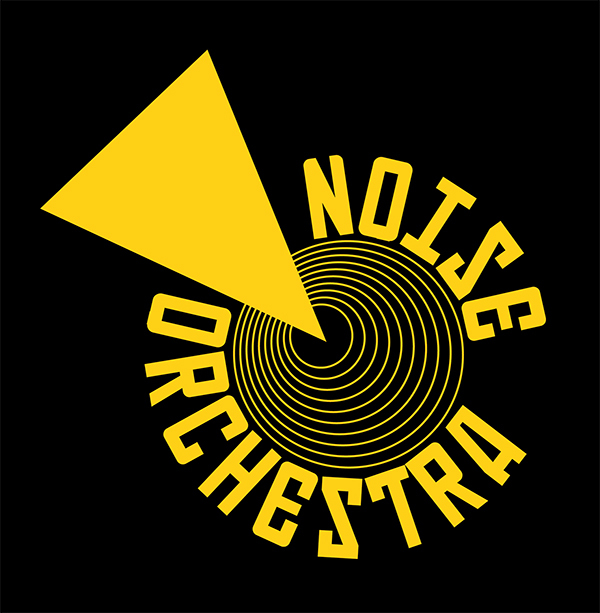 Noise Orchestra have been commissioned by Manchester Science Festival 2018 for the SOUND OF LIGHT installation at the Museum of Science and Industry and to deliver a series of CITY SOUND WALKS. In the lead up to the sound walks we will be running an electronics ad psychogeography course with our partners Brighter Sound where participants create their own machines and devise the Manchester routes for the walks. Our time at PM Studio has been productive, enlightening and enjoyable. Through the support and critical questioning from Vic and David the residency has added an extra dimension to our practice helping us to consider the user experience, narrative and design of the sound walks, and allowed us time and space to explore our motivations, the thematic background to the piece and consider the wider contexts in which to site the work. We enjoyed the opportunity to dig deeper theoretically around public space, permission to play, spectacle, happenings and acoustic considerations. Practically we learned a lot through being a part of the PM Studio community and talking to other artists and companies about their experiences of producing work in the public realm. We found this to be a unique characteristic of PM Studio, the conversations and chance encounters with other members of the community that helped push our thinking and technical knowledge forward. It was wonderful to share the prototypes at the final residency talk and invite other residents to have a play with the machines around Bristol Harbourside, we aim to come back in the future to undertake our Noise walk designed for the city. We look forward to keeping in touch as members of the PM Studio, a huge thank you to Vic and David and the rest of the community – we have had a blast! Ahead of our travelling to Aberdeen was the news that we had SOLD OUT all of our walks for the festival. Good news. No Pressure. Tech must work …. It did! We arrived a couple of days early to scope out potential routes and key locations for the sound walks. 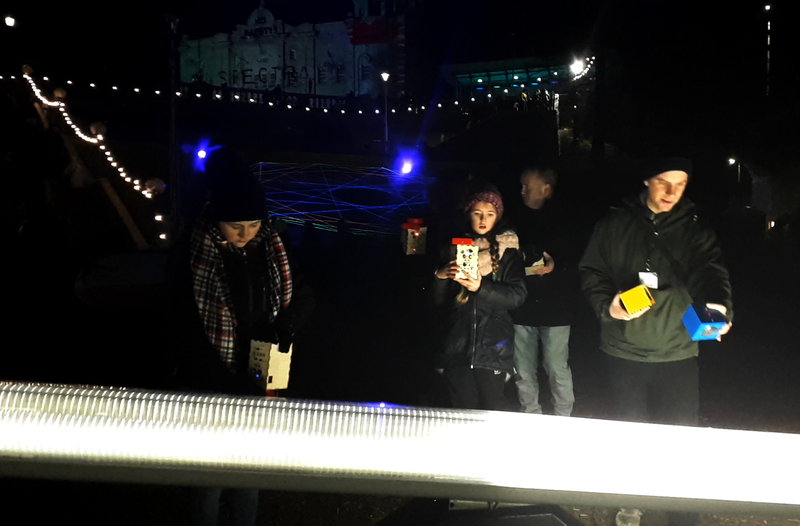 As we could only properly test the machines at night (we need darkness and a high level of contrast between brightness for the best experience) we spent the days navigating the city and tweaking the tech, checking our new rechargeable units. SPECTRA Festival (by Curated Place) covers the entire city venue wise, with the main concentration of public light installations and interactions situated around Union Terrace Gardens in the centre of the city. We planned a route that would take people off the beaten track and explore the less well trodden routes that were sonically interesting. Aberdeen is fairly hilly, our route came off the main high street, down the stairs and under bridges into Aberdeen’s hidden tunnels. The walks were 30 mins starting on the hour. It soon became clear that the walks had been advertised as interacting with the light festival exhibits, so our alternative more psycho-geographical route wasn’t right for this event. The new route traveled along the high street, down into Union Terrace Gardens, via a mirror cave area, through to the flashing seesaw and a giant led lit cycling competition installations. · Narrative : worked really well. Some people really believed that we had found the machines in a skip on a Moscow street! Interface deciphering: We ran a short demo/instruction at the start of the walk, the interface being in Cyrillic meant this was a conversation and interaction point, with participants helping each other out throughout the walk – it added an additional element of play and curiosity and experimentation. · Spectacle: Great response from the wider public. The festival was quite busy and we got caught up a few times, with not being able to get away due to so many people asking what the machines were! · Participants: youngest was 5, oldest was 70, we had groups of friends, families, professors – a real mix of people. Improvisation/play: we were impressed with the sounds people were able to get from the machines, there was collaboration, thoughts around sound and placement and a real sense of fun. · Logistics: Thermals are essential. Timings were crucial – we needed a longer gap between groups really. 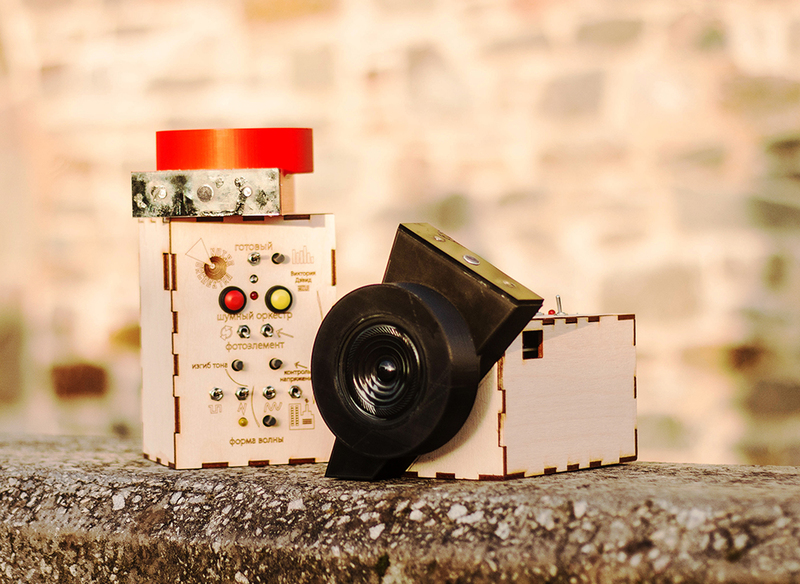 · Tech: Machines worked wonderfully for our first prototypes. Some had their own individual quirks, but we brought back up machines and it was easy to swap around tech with the group. The abandoned soviet tech angle meant we had a caveat if some temporarily went on the blink! · Response: everyone who took part were extremely positive about the experience, we were blown away by the feedback and kind words. It was definitely a team atmosphere and dare I say a major success! Looking forward to the debrief, 2nd iteration of machines and our next 2018 noise walks now. As part of the audience experience, we wanted to provide a narrative hook for the participants who would be using the machines in our sound walk. We decided to tell people that our machines were in fact abandoned soviet technology from the 1920s, that we had been researching and investigating the original purpose for this technology and discovered it was a way of measuring and interrogating the light in cities (with the coming of Russian electrification ) through noise. We imagined an alternative existence where sonic culture had become the dominant culture and sense over the visual, the very antithesis of ‘occularcentrism’, where sound was the medium of measurement. Having finalised our circuit design, we worked with The Invent Hive who supported us in the schematic layout and final PCB design (thank you), ready to be sent to manufacture, we eagerly awaited their return for first tests. The start of January was our residency at Fondazione Mondo Digitale in Rome, a well resourced fablab, wonderful art, technology and education centre leading on Rome Media Art Festival. Our focus for this stage was designing the control panel and interface for the machines. As a nod to the Russian futurists we decided that any normal text or labels on the control panel would be written in cyrillic. We knew this would be indiscernible to most participants, but this was intentional to fit with our ‘abandoned soviet technology’ narrative. This tactic had some interesting outcomes which will be discussed in the next blog post. Following Rome we headed straight to BBC Media City in Salford! Working at Eagle Labs to develop the 3D printed speaker section for our sculptures. The detail and level of precision that went into aligning our PCB, components, Control panel interface and speaker section were crazy, but we somehow managed to get all these parts synced for them to work as prototypes for the first festival walk. Working with 3D print was an interesting experience. Our intention and design was that the entire machine sculpture would be 3D printed to house the electronics. However we found that each machine would take up to 25 hrs to print, with the SPECTRA Festival deadline looming and limited time, we had to opt for plan B, to 3D print the speaker chamber and house the electronics in bespoke wooden enclosures. It was a race to the finish, with marathon soldering days to complete the 10 machines in time for their first outing at SPECTRA Festival. We have been out and about around Bristol city centre exploring potential routes and area locations for our sound walks. It’s been really good to think about this in a city unfamiliar to us as it has meant we don’t have previous knowledge or preconceptions about areas of focus so we have been assessing these areas based on sonic parameters. Here are a few of the locations we’ve considered and an explanation of different ways these could be interesting from a lighting input or sound input/output. Transit zone area, large intersection point. Interesting architectural levels (and circular! ), imagining people playing noise machines at different heights. Lots of differently coloured lighting within the main walk through and four underpass walkways leading into central busy location with lots of cross movement of people with different brightness’s. Plus buskers. Historical area, old markets and winding streets with differing brightness. Walk up to this area along main road, with light from passing cars and flashing pedestrian crossings. Leads into city walls area. Walking to this point down very dark back alleyways (creates low oscillations), navigating through alleyways and coming out into brighter pedestrian zones. Changing architecture and the idea of taking the path less explored. Wide open public space with ambient lighting in centre with outer edges/trees containing different coloured lighting on public water sculptures. We liked the element of the public congregating here, especially the skateboarders and the sounds of the wheels, turns and jumps reverberating around the architecture – great for sampling. Next post will be findings from our first user testing with the New Talent Residency artists.